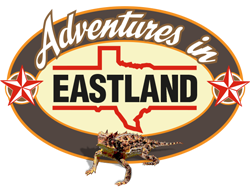 The City of Eastland is administered by a City Commission City Manager type charter. The City Manager serves as the Chief Administrator and Executive Officer of the City and is responsible to the City Commission for proper administration of all affairs of the city. Ron Duncan has served in municipal government for over 18 years. He has served as the City Manager of Eastland for 4 years, as well as 10 years as the City Administrator of Crockett. Mr. Duncan also served as the City Treasurer and Deputy Administrator of Crockett. Throughout his tenure in City government he has developed and supervised execution of 18 annual budgets, written numerous grant applications and served as project manager of numerous projects to ensure our taxpayers received the most benefits for the dollars expended. Ron is also a retired Army Officer, having served 24 years as a Field Artillery Officer, as well as a Military Comptroller. Ron holds a Bachelor of Arts Degree from in Hotel Restaurant Institutional Management from Michigan State University, as well as a Master of Business Administration Degree from Oklahoma City University. He has attended numerous Army and civilian courses in leadership, and Military art, as well as Financial and Resource Management. Ron and his wife Sheryl have been married for over 37 years. They have five children and 4 grandchildren. CITY SECRETARY/HUMAN RESOURCES - Need to find out about what happened at the last commissioners meeting? Find out about the election process and how you can participate in elections. Contact: Shirley Stuart, City Secretary, Eastland City Hall.